Supplied with bar and fixing screws. Latch backplate length 103 x 40mm. Lock backplate length 152 x 40mm. 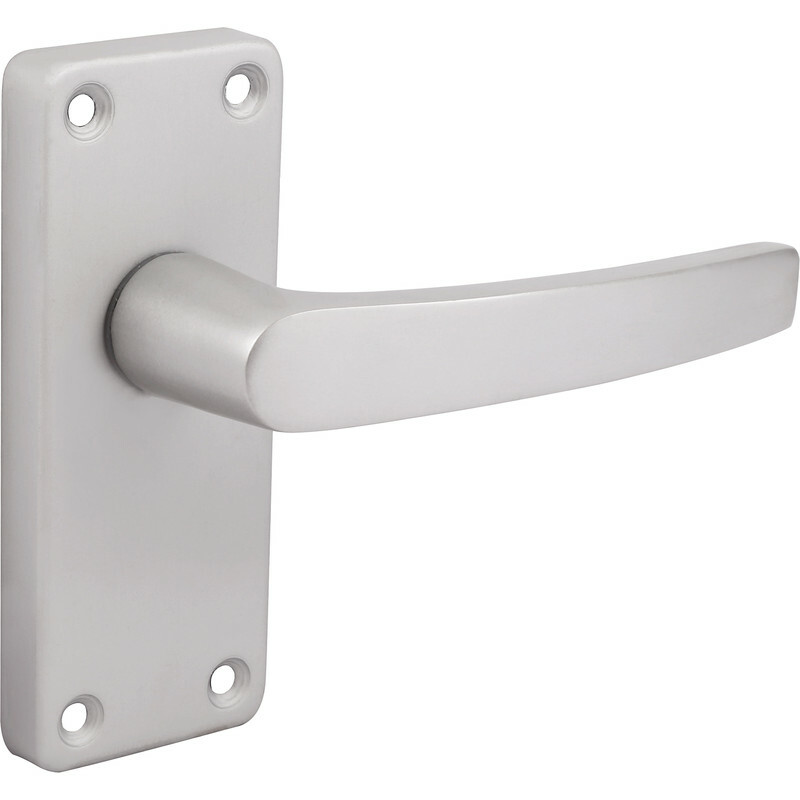 Handle length 98 x 38mm. Contract Aluminium Door Handles Latch Satin (2 Pack) is rated 4.4 out of 5 by 5. Rated 5 out of 5 by Pet50 from Good replacement Bought this to replace a broken handle. Does the job. Rated 4 out of 5 by road runner from easy to fit. i brought these item to replace damaged handles . Rated 5 out of 5 by Arthuro from Perfect match These latch handles match percectly latch handles in other doors in my house therfore there is no reason to complain. The dimensions of the product match what is writen on the website. Rated 3 out of 5 by NodN from They work Cheap and the doors open. Hope they last a reasonable length of time.